Friendly, fun-loving, exotic, tropical, cultured, and historic are just a few of adjectives that describe Thailand. If you crave a variety of experiences on your trip, what better place than Thailand for it, which offers so much to choose from, be it a low-key spa weekend at a beach retreat or shopping and clubbing in the city. Bangkok - with its amazing rooftops bars offering stunning views of the city, world-class restaurants, and amazing shopping hubs - is a vibrant, fun place to hang out. While in Koh Samui, you have the ultimate destination, which will make your holiday as a single man/woman all that you imagined it to be. You can even rent a villa by the beach for yourself and check out some crazy water sports while you're here. Singapore is the perfect destination for a solo gateway. There are places for foodies, bar hoppers, or fashion fanatics. Singapore is ideal for the shopping-spas-and-bars type of solo trip, catering to your different moods and wishes. Orchard Road is Singapore's answer to New York's Fifth Avenue, housing all the premium brands on a single street. If you are not too keen on luxury shopping, Orchard Central, a towering shopping mall, is the best option to shop from, while enjoying a panoramic view of the city. And of course, there is Universal Studio too to make your trip supper happening. Famed for its sapphire-blue waters, powder-white beaches and luxury resorts, Mauritius offers the most beautiful views in the Indian Ocean. Sounds really amazing to have your solo trip at, doesn't it? Mauritius boasts white sand beaches, tropical warmth, and a multicultural mix of Indian, French, and Creole elements. While there is all of this and more to Mauritius, a solo trip is incomplete without some nightlife. The Grand Bay at the north of the island promises the best nightlife, with authentic local experiences including food, drinks, and a lot of dancing. 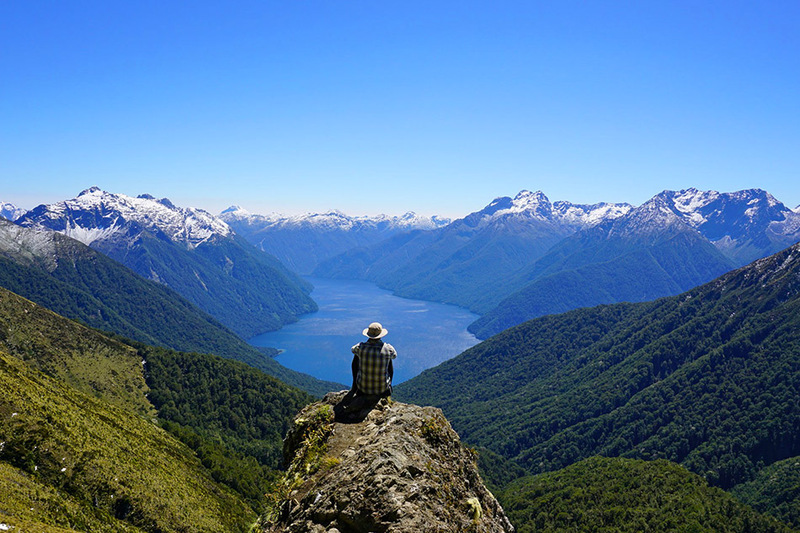 New Zealand may seem like an unlikely choice for a solo trip, but trust us, it's a decision you won't regret. The Marlborough Region is a wine country that offers all that an vacation should have (yes, good wine is definitely among them). And if you want to try out some of the activities the place has to offer, there are quite a few fun options like swimming with dolphins, whale watching, horse riding, and canoeing. At the resort town of Rotorua in the northern part of NZ, all you want to do is simply put your feet up and pamper yourselves while absorbing the faultless beauty of this quaint place. Also, did we mention that there's hot springs in Rotorua?